The journey to Illimani begins with a flight to La Paz, landing at the highest international airport in the world. Airlines outfit their jets with special equipment just to handle the runway at 13,325 feet. The first thing you notice as you taxi in are the ambulances waiting to treat the un-acclimated. When the pilot depressurizes the airplane, you can literally see travelers turn green as they reach for the air sickness bags. You are high and you feel it. For a climber it is paradise. You get off the plane and are surrounded by the flat Altiplano that is dotted with the white specks of a half dozen massive 6,000 meter peaks sticking up beyond the golden plain. 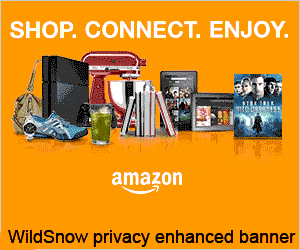 But Illimani is the crown jewel. HUGE. A friend suggested a contact to get us to the peaks and we met him at the airport. There are no peak fees or permits needed to climb in Bolivia, so it is possible to go straight to a trailhead. That’s sometimes not such a good idea. Given the altitude, hanging out for a day of acclimatization in La Paz is important and fun. We have done several trips to the area over the years and beyond the airfare to get there, you can have a great trip on a budget of well under $20 a day. La Paz is just under a million people. Bolivia is an extremely poor country but the culture is incredible. A day of acclimatization is a great way to see things unique to La Paz. In all the years going there, we have always seen some kind of street festival including music, dancing, and sometimes the unnerving custom of shooting guns in random directions. After a day or two of acclimating, the jeep ride to Illimani involves an 80 kilometer journey that takes about five hours. It’s a beautiful drive on a treacherous roller coaster road through the foothills to the village of Estancia Una at about 11,500 feet. From there, it’s a three hour trek with pack animals to one of the most beautiful basecamps on the planet at about 14,000 feet. Illimani from the Altiplano of Bolivia. The route is the prominent ridge in photo center. We arrived at base camp, spent a couple of days acclimating, including hauling skis to 18,000 feet. We then took a day off, rested, and prepared for the suffer-fest. It was early May, a few weeks before the handful of other climbers would start arriving. We had the peak to ourselves. It was an abnormally large snow season — super conditions. The upper flanks of the peak involve a 40 degree headwall that runs for about a thousand feet which is more often than not an ice climb, but with the snow line being low, we hoped that we would be blessed with snow for skiing. Illimani is not a peak that generates images of skiing but we felt going early we had a chance. If not, we still wanted the summmit, by whatever means up and down. We began the climb at midnight and scrambled up to our skis in the black of the night with the lights of La Paz in the distance. From there, it was a beautiful climb on the mountain’s prominent ridge with steep rolls between large crevasses and seracs. At about 19,000 feet, dawn’s first light illuminated what we had been anticipating the most, the main headwall. To our delight the snow was perfect for climbing and skiing. This added much needed fuel to our fire since we were roughly six hours into the climb and feeling the altitude. In a climb of this magnitude, the biggest hurdle is the mental ability to know that you can do what you are attempting. We had worked up to this climb with previous high summit bids of 5,000, 6,000 and even 7,000 foot efforts successfully, but the combination of knowing how difficult those were and the reality that this was significantly more than anything we had ever attempted was a mental drain before and during the climb. Knowing the snow was great and the energy of the first rays of sunshine was awesome. We successfully climbed the headwall and the last hurdle was the bergschrund just below the summit ridge. We found a snow bridge to cross and then we were on the easy summit ridge. We now had to walk a moderate slope for 500 feet to the summit albeit all above 21,000 feet. We were obviously not acclimated to this altitude and it showed. The pace for those last 500 feet was slow. My head hung low. I was spent. I was the anchor that was preventing Steve and Jim from reaching the peak and as the rope went tight, I had to feebly yell, “Hold on a sec!” I managed to inch my way along and finally found myself on top. Ten hours after we started climbing, we looked across the planes at La Paz and then in the distance saw the great pyramid of Sajama out in the Punta Atocoma, the highest peak in Bolivia and a peak that we had skied four years before. In the other direction we could see all the other peaks we had climbed over the years. It was incredible! In a buddy embrace the three of us stood on the summit of Illimani after a massive single day push and Jim simply said, “Boys, here we are. The 16 year effort has paid off…” We took some photos, ate a bit, and as the altitude dilated my eyes I knew I had to get going. We clicked into our skis, and we were off. I went first so I could film the guys skiing from the summit and the gentle slopes of the summit ridge were a dream. To move that fast with no effort, knowing I was getting closer to base camp and thicker air was incredible. The snow was packed powder and easily transported me down with little effort. Mike Marolt drops into one of the many rolls on Illimani. Jim Gile skiing carefully into and over the bergschrund near the summit. As we carefully crossed the snow bridge, we came to the steep headwall. The snow had a slight crust so it was not as automatic as the summit ridge, and while it was incredible, by high altitude snow standards, it demanded your attention and a good effort. It was exhausting but exhilarating. The sky was cloudless blue and I just tried to calm myself down and take it turn by turn and really savor the moment, but it was extremely exhausting work. We skied the incredible slopes back to the snow line and looked back at ski tracks on the flanks of Illimani. But the bravado soon faded to the reality that we had some incredibly sketchy down climbing to do, now extremely exhausted and with the added weight and cumbersome aspect of skis on our packs. Sixteen hours after the adventure began, we found ourselves at base camp. I dropped my pack, shed my gear and clothing, drank a liter of Coke, and had a bowl of soup and a big roll. The next thing I remember was breaking camp the next morning to go home. Driving out and looking back at Illimani, I knew we had pulled off something in our careers that was at the top of the list. It’s not that Illimani is the highest or most difficult peak we have ever taken on, but the way we did it was definitely unique and pushed us to our limit. The midlife crisis was over. (In May 2000, after a childhood growing up in Aspen and climbing and skiing in Colorado’s Elk Mountains, twins Mike and Steve Marolt and life-long friend Jim Gile became the first Americans ever to climb and ski from above 8,000 meters / 26,250 feet when they skied from the central peak of Shishapangma, Tibet. In 2003, the team followed up with a first ever American ski descent of the north ridge of Everest. In 2007, they skied the north ridge of Everest for a second time, and also became the first Americans and only the fifth people ever to attain multiple ski descents from above 8,000 meters when they skied from the summit of Cho Oyu, Tibet. Since then, they have completed many ski descents from the world’s greatest peaks, including 6 from above 7,000 meters. All told, their ski resume spans over 25 years with expeditions to some 40 of the world’s highest peaks. They only climb “pure style” using no supplemental oxygen, porters, or altitude drugs. When they’re not skiing, the Marolts work as CPAs as well as running their new etailing endeavor (they’re advertising partners with us), 8k Peak Technologies). A great story. One snag: never treat a different country (especially in Latin America) as “a third world experience”: it is simply “la experiencia Andina”. Max, good point. La experiencia Andina is more appropriate for an aspect that is why we love Bolivia so much and go there so often, and that line does come off as ugly American. Sorry for that oversight. Chet, did you notice the part about having brain damage? Ha ha. The gear was heavy but light in other ways; it was free. And we’ve learned. We are now on the Fischer Trans Alp line and glad for it. That “several pounds” is just too much up there, I know. So many fascinating places in the world to explore, and ski! Thanks for the intriguing trip report. Great story. I was just talking to a buddy of mine about climbing and skiing Illimani last night. I’ll be in that area for work/volunteering thing in May. I think it’s a sign! He was all pumped up about it. Nice article Mike! Captured the trip really well. What an adventure that was! There is nothing like having the skills and equipment to take you safely on adventures like this – Of course a lot of that comes form the wisdom obtained when you reach that “midlife” status – Adventure on ! Is this the one ski descent you know from? I’ve uploaded a pic and a newspaper article of their ski descent. Lukas that’s awesome! I had heard of your father skiing the other second summit but not the first because the bergshrund used to be difficult. The only other person I had heard of was a Slovanian. And over a five year period he had beat us by a year on Sajama, Chimborazo in Ecuador and Illimani for what he thought was a first. So your news here is probably a first. 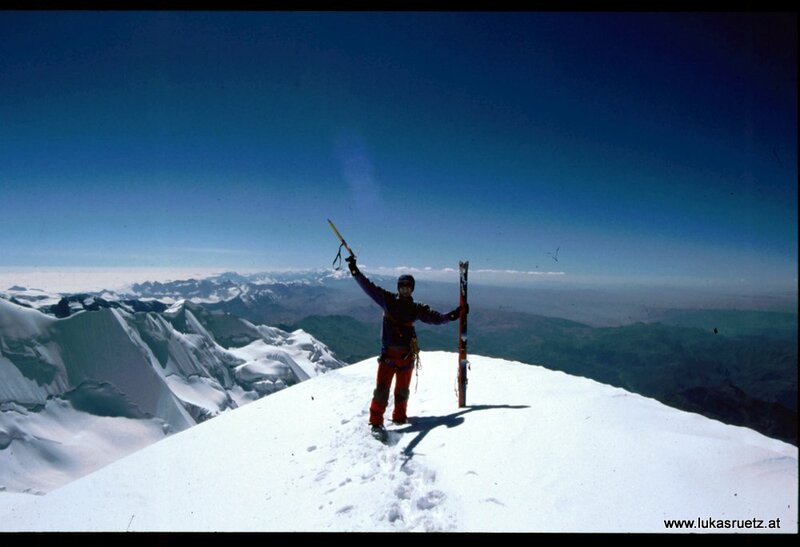 The records for skiing those high Andes peaks is very incomplete so I will add this to my data for 6000, 7000, and 8000 meter peak skiing. Thanks! Mike, great article! Amazing trip & pics! Thanks for sharing. Hope you & Steve are well! Need a photo of that great mountain. Great story! I love hearing your stories because they are not filled with bravado and hubris. You ski amazing stuff and it seems you do it pretty safely. You just do it to do it! Keep up the good work. Yesterday I was searching in the reversal film collection from my old man and I found some more interesting pics. 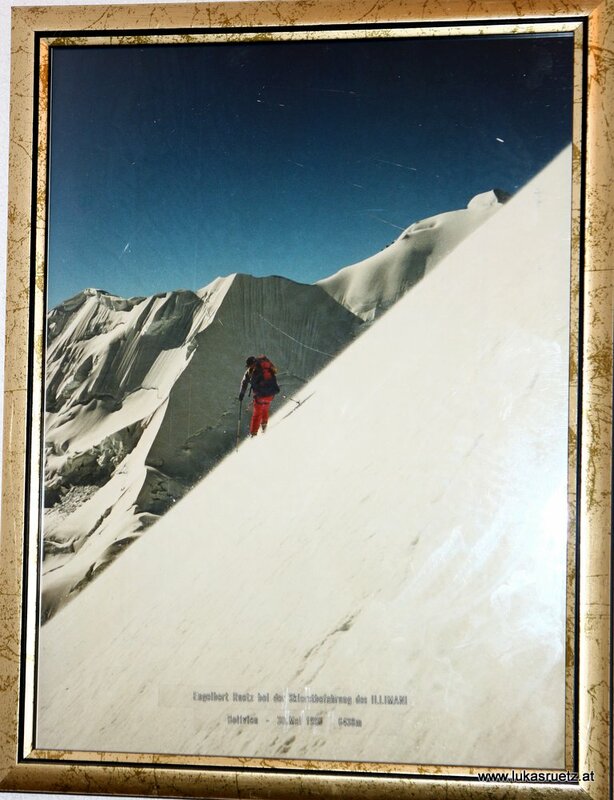 He also told me, that there were not existing records about ski descents or speed ascents – but the Club Andino Boliviano didn’t know a ski descent from main summit before May 1996. Stunning trip as usual. Thanks for the motivation and inspiration for your readers.